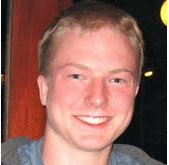 For our third post, meet Samuel Clarke, a Freshman Engineering Practicum intern in Mountain View, CA. Throughout his 12-weeks as an intern, Samuel has been working on automated user interaction tests for the Android Google Play app. Essentially, this means that instead of having Googlers manually go into every device to make sure that the Google Play store works, he creates tests to do so automatically. In addition to working on his project, every day this summer, Samuel has made it a point to have lunch with Googlers across various technical departments and VP levels to learn about the work they do. “I don’t think I would have gotten that at another company. The people here are very approachable.” Samuel says the technical as well as interpersonal experiences from this summer have served as a valuable foundation for his future plans; next summer, he hopes to return to Google and work in roles that will help him continue to grow in new areas, particularly with his mechanical skills.